These RGB LED Strip Wires with Connectors are designed to connect 2 RGB LED strips together. 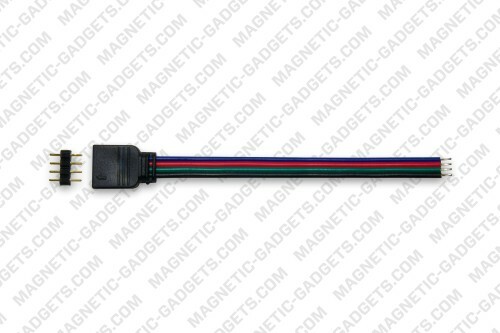 The included 4 pin extension will enable you to use this connector as a male or female connector. These connectors can be soldered directly on the strip to connect them to a controller or to facilitate the connection between sections.